It has been a while since a new book on sea trout fishing graced our bookshelves. Indeed, the last great reference book would be credited to Moc Morgan and Graeme Harris, with their book Successful Sea Trout Angling: The Practical Guide, which was first published back in 1989 – almost thirty years ago. With all this in mind a new reference book is certainly called for, factoring in some of the recent changes in approach and also thinking regarding sea trout. 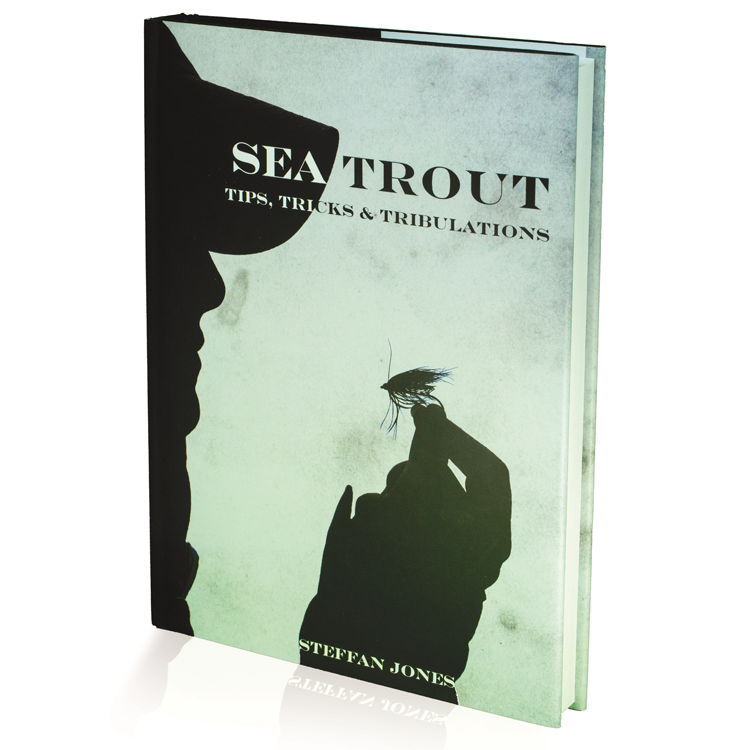 For those that pursue sea trout the name Steffan Jones probably rings a bell, as he has often featured in the likes of Trout & Salmon magazine on the subject. You will be hard pushed to find someone more dedicated to the species. Steffan has guided anglers on sea trout for over twenty years now and has certainly spent enough time on the water to gain a deep understanding of the species. As such, he was a perfect candidate to bring our knowledge up to speed, along with many of his thoughts on the species based on his experience. His new book, Sea trout Tips, Tricks & Tribulation, covers everything from daytime fishing, night-time fishing, through to weather considerations and more. 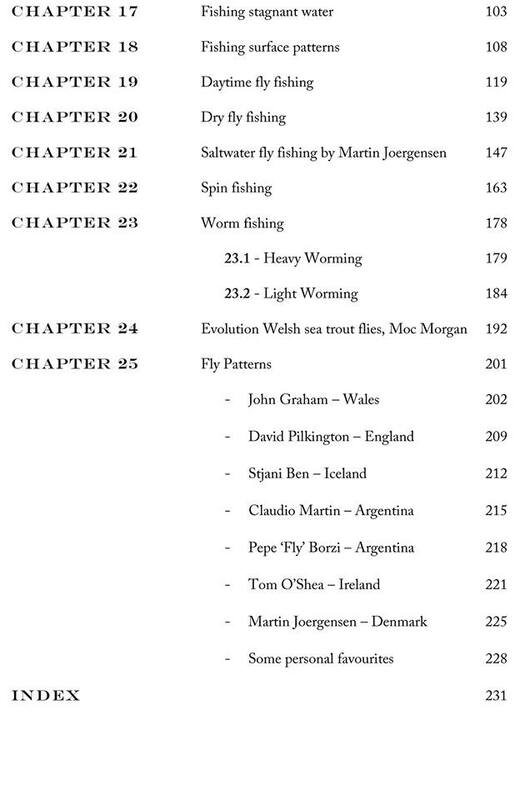 Beyond these chapters there are contributions from Moc Morgan on the ‘Evolution of Welsh sea trout flies’ and Martin Joergensen on targeting sea trout in saltwater. In addition, there are contributors from all over the world who have supplied their favourite sea trout patterns, which are bound to create interest and intrigue. Included are John Graham, the inventor of the Jambo fly, and David Pilkington from the Arundell Arms, to name just two. The book is 244 pages long and is in hardback format. 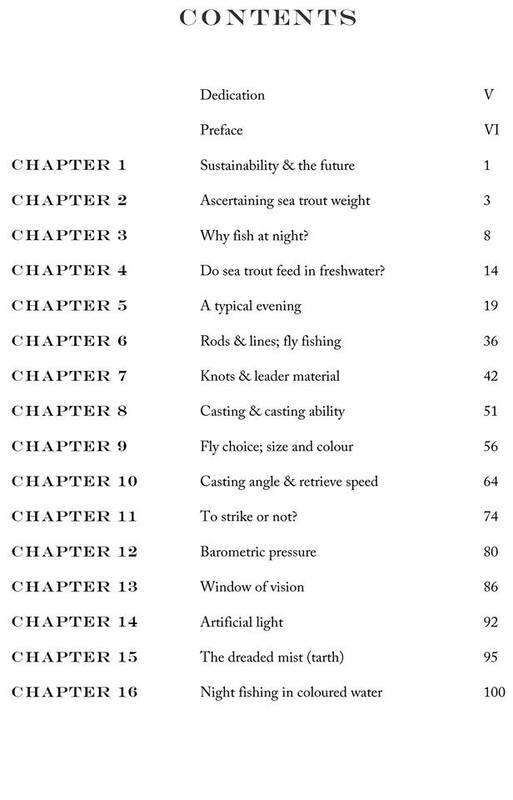 There are 25 chapters in all, covering virtually all aspects of sea trout fishing. All copies have been kindly signed by the author.